The beach has the power to restore us to ourselves. A day spent watching the waves or a long walk along the water's edge can bring us back to our center and remind us of the wisdom that resides within us all the time. At the ocean, it is possible to forget your daily worries and reconnect with your true self. 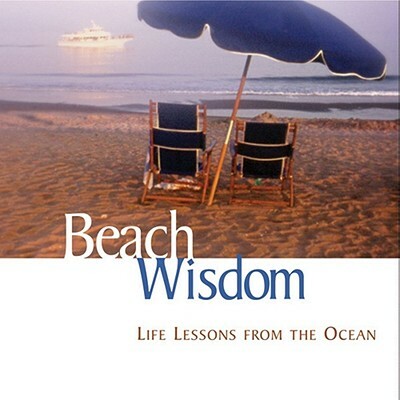 A beautifully designed keepsake book, Beach Wisdom: Life Lessons from the Ocean offers spirited and contemplative philosophies about joy, trust, abundance, and common sense, accompanied by gorgeous full-color photographs. * Go in the water, even if it's cold. * When you catch a wave, ride it. * Just when you think it's getting too deep, you'll find a sandbar. * Sometimes the best thing is to jump right in. * To find the best shells, you have to walk slowly. Throughout Beach Wisdom, exhilarating photos and inspiring text artfully merge to capture the power and relevance of the ocean in our lives. Its pages bring a sense of peace and awareness to everyone who reads it. Elizabeth Cogswell Baskin is the CEO and creative director of Tribe, Inc., an advertising agency with a focus on branded content. She is the author of several books. Elizabeth lives in Atlanta with her husband and son, and does her best to say no to anything that isn't a clear "Hell yes!"